Main Idea: God is faithful-He always keeps His promises! The following activities are designed to reinforce the simple Scripture truth, encourage toddler development, and engage their imaginations and creativity. Choose the ones that will work best for your classroom or family. Your toddlers may not understand the definition of promise just yet. The first two activities are simple games that illustrate the definition of promise-a pledge to keep your word or giving assurance that you will do what you say. Play a game of peek a boo with your toddlers using a large blanket. SAY: I will always be under this blanket-I promise. Look for me! When they lift the blanket SAY: Peek-a-boo ! I am here, just like I promised. Repeat, saying: I am still here. Here I am again! God promised he is always here. We know he really is here because God is faithful; he always keeps his promises! SAY: “Joshua, I promise I will roll the ball to you!” Then roll the ball to Joshua. SAY: “Tessa, I promise I will roll the ball to you!” I kept my promise! I rolled the ball to you! God is faithful. He always keeps his promises. SAY: The Bible says, “Your love oh Lord reaches to the heavens, your faithfulness to the sky.” Look at the sky. It is so big! It is so far from us! God’s faithfulness is so big. It is bigger than we can reach! It stretches further than the sky! Wow. Isn’t God amazing? He will always keep His promises to us. He will never fail or forget. God is faithful! He always keeps His promises! SAY: Come with me to the window (or use with above activity while you’re still outside). The sun has made it daytime outside! We can see everything because of the sun’s light. The sun comes up each day. It brings light to everything. The sun goes down each night, and then it is dark. God made the sun faithful. It always come up. It always go down. God made the sun like him-He is always faithful! He always keeps his promises. OPTIONAL ACTIVITY: Paint, draw, or use construction paper to make a sun, reminding your toddlers how the sun reflects God’s faithfulness as they create. SUPPLIES: Tape and picture of each of the following: ear, heart, flower and or birds, cross, depiction of heaven. Tape the pictures around the room. Gather your toddlers, and SAY: I have hidden pictures that remind us of God’s promises all around the room. Can you find them and bring them to me? After all of the pictures are found, hold up each one and explain God’s promise. Ear: God promises he will always hear us. God is faithful-He always keeps His promises! You can talk to God anywhere, anytime! Heart: God promises that nothing can separate you from his love, and that no one loves you as much as he does! God is faithful-he always keeps his promises! Flowers and/or birds: God promises to take care of you, just like he cares for the birds and the flowers. God is faithful; he will always take care of you! Cross: God promised to save rescue his people. He sent us Jesus! Jesus is our great Rescuer-our Savior! God kept his promise. He is faithful! Heaven: God promises that everyone who believes in him will one day live with him forever in heaven! There will be no more sadness. There will be no more pain-he promises! God is faithful-he always keeps his promises! SUPPLIES: Picture of mother hen covering her chicks. DO: Show them a photo of a mother hen sheltering her babies. SAY: When it is cold outside, a mama hen gathers her chicks underneath her feathers to keep them warm. When she is afraid someone might hurt them, she gathers them under her feathers to keep them safe. SAY: God covers us like a mama hen covers her babies! He protects us. We can always find comfort in him because we can always trust him. His faithful promises keep us safe from fear. DO: Pass around feathers (store bought) for children to touch. Let them describe how they feel. SAY: God is always faithful. We can always trust him to keep his promises! DO: Let the children paint with feathers. Reiterate the truths above while they are painting. DO: Make a collage. Reiterate the truths above while they are pasting. Sing over your toddlers. Encourage movement and dance. Consider songs that declare the truth of God’s faithfulness, like Chris Tomlin’s Forever [God is Faithful] or the hymn Standing on the Promises or ‘Tis So Sweet to Trust in Jesus. Whisper something about God too softly for your toddlers to hear. ASK: Did you hear me? Say it again, just slightly louder. ASK: Did you hear me? Finally, say it in a loud whisper. This time they will hear you. ASK: How soft can you whisper? Let them take turns whispering. I cannot hear you, but God can! God promises to always hear us. You can speak quietly or very loud. He can hear you! You do not even have to use words, and he still hears you. God is faithful. He keeps his promise! He will always hear you. God promised to hear our prayers. And he does, because God is faithful and he always keeps his promises. Let’s talk to him now.Hold hands or bow your heads together (just demonstrate and ask them to do the same. Some may, most may just watch.) 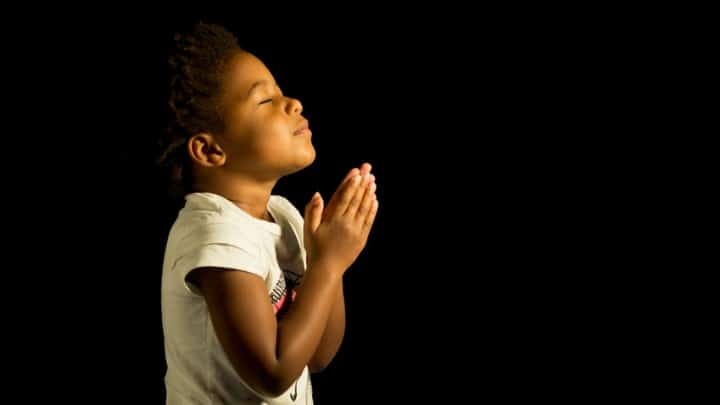 Say a short prayer like the following: Dear God, you are faithful to us. You always keep your promises, and you will never forget. Help us to trust you and believe your promises. We love you. Thank you for loving us. Amen. Woooow! the lesson is very nice i really love the lesson may God bless you for a such good idea and for sharing with us! Tony Kummer (Editor) reviewed & updated this page on : October 5, 2016 at 11:44 pm. All our content is peer reviewed by our readers, simply leave a comment on any post suggest an update.